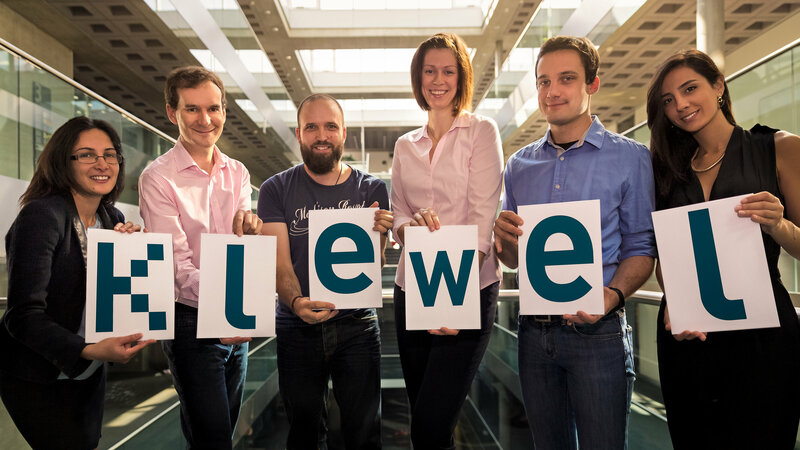 Klewel is a spin-off of the Idiap Research Institute which is affiliated with EPFL Swiss Federal Institute of Technology. We are located in Martigny, Switzerland with capabilities to capture conferences all over the world. Klewel proposes a comprehensive webcasting solution, complete with an audiovisual recording station linked to a web platform that makes it possible to automatically reference, edit and publish content (audio, video, slide shows) in total simplicity. In addition, the content of each presented slide is also indexed. Each event is accessible anytime, anywhere (at home, at the office or elsewhere) and can be viewed on all types of devices: computer, mobile phone, tablet, etc. You can ask for your event to be recorded by Klewel who will manage the entire service, or you can purchase or rent a Klewel station and record your events at your convenience, with Klewel ensuring automation of the web service. The term “Klewel” comes from the breton language: this is a contraction of two terms “Klevet” and “Gwelet” which respectively mean to “listen” and to “see”. In addition, you have an integrated statistical tool with which you can measure the interest generated by your presentations and target future content in a relevant way. customised form to meet your needs. Mael holds a European Master of Science from the University of Rennes (France), including six months at the University of Barcelona and one year in the UK. He is laureate of the Swiss Venture Leaders 2008 and holds the “Passeport Bretagne pour Entreprendre”. After 6 years of R&D experience at the Idiap Research Institute in the area of multimedia information management, he is the founder of Klewel. Sandy received her PhD. degree in Computer science from EPFL. During her work in the REACT group at EPFL, Sandy developed Graasp, a Web platform for online learning and collaboration. Sandy manages technology transfer from research and development projects and is responsible for the backend development of Triskel’s cloud-based platform (database modeling, processing, indexation and search engine). She also contributes to front-end tasks involving Triskel’s player and search widgets. Yannick Evrard holds an HES bachelor in computing sciences specialized in artificial intelligence. He started his carrier at the HUG in research projects in functional MRI, and then founded in 2005 his own company in Voice over IP in Geneva. He then turned in the audiovisual field and joined an important Swiss Audio/Video integrator as Product Manager, before joining the Klewel team in Operations. He is responsible to record, edit and publish all conferences in which Klewel is involved. After obtaining her BBA in Marketing and International Business, Andrea spent 8 years playing professional basketball all over Europe. After an unbeaten season in Switzerland, she discovered a new calling in marketing and business operations here at Klewel. She is responsible for event services, for contacting new clients and managing existing ones and for assisting the development of Klewel’s presence in different outlets.